Personal branding is the Frisbee of career talk, but it’s not a new concept. It’s just something you need to grasp if you want to build a positive reputation and stand out to the right people. The problem with this Frisbee is that it has been thrown, flipped, and passed around like a last-minute drugstore fruitcake around the holidays. The result is a version of branding that comes across as obnoxious self-promotion. This type of “personal branding” can be a turn off on any social media platform, because who wants to be that person? I’m here to tell you that there is a comfortable middle ground when it comes to personal branding that doesn’t have to feel fake or rehearsed. 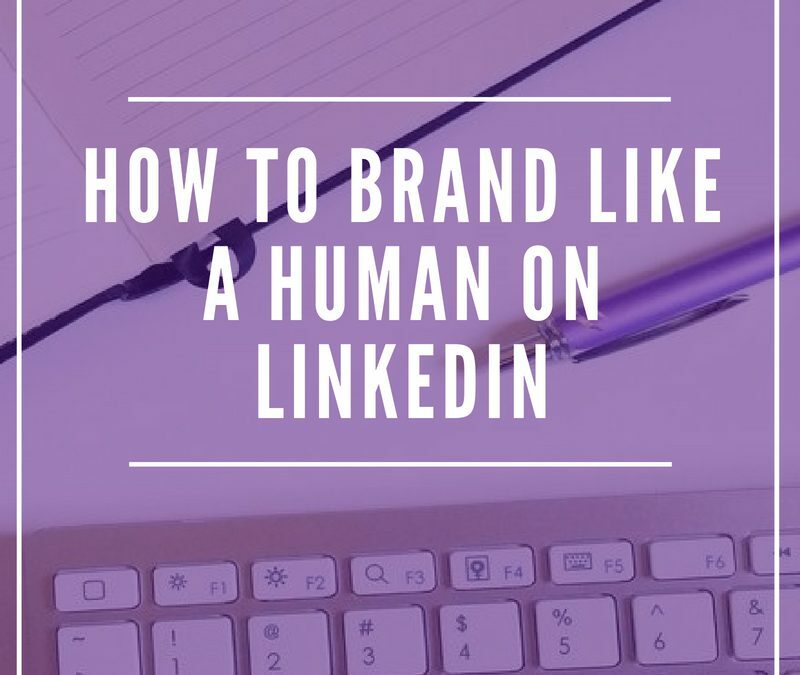 Here’s how you can promote your personal brand and still sound like a human when you engage with your target audience. If you talk about yourself ALL THE TIME, it will eventually sound like “wah, wah, wah” to everyone else. The common 80/20 rule can also apply to personal branding: Spend 80 percent of your time on social media building relationships and 20 percent of your time marketing your brand. For example, do a temperature check by viewing your recent LinkedIn activity. Are you only posting when you have a blog or service to promote? Do you share posts from others? Do you add thoughtful comments on other people’s posts? To get the most benefit, make sure you’re genuinely engaging with your network rather than just sharing status updates about yourself. You can take a look at my recent LinkedIn activity here and see how I mix it up. 2. Talk about people in your industry you respect. Don’t assume that people only care about your opinion. It’s true that a part of personal branding is being seen as a reliable and credible source in your industry. But you don’t have to prove that by being the only reference for the information you provide. Personally, I find inspiration in many entrepreneurs and writers, so I love sharing gems from them. People want to get information from a variety of sources. Plus, it takes the pressure off of you to be clever all the time (who needs that anyway?). Sharing interesting content is a great way to start conversations and attract new connections. You can also add your expert two-cents to the dialogue, so it’s a win-win situation. Spread the love and share articles written by related experts and colleagues who you respect. 3. Talk about how you add value to others. Sorry, but your LinkedIn network is not invested in your ultimate dream of becoming a six-figure online business. What do they care about? Problems that keep them up at night. Are you tapping into how you can provide solutions to their biggest challenges? Whatever your specialty is, think about how your knowledge can make someone else’s life easier. If you want people to care about your brand and dreams, you need to prove that you care about theirs as well. 4. Talk about your support system. I always say that you can’t build your brand in isolation, so don’t act like you’re a one-person show. Acknowledging the people that contribute to your success is not a ding against your abilities. It shows that you‘re confident enough to give credit where credit is due. Give a shoutout on Linkedin to someone who guided you to the right resource, connected you to another colleague, or inspired a post. Show that touch of humility which makes you human and sometimes even vulnerable. People will notice and admire your brand even more. Sometimes, the best thing you can do to grow your personal brand is to simply be a human being.